Humanity is becoming more and more polarized + Spirituality is increasingly less black & white. WHY DOES CMYK CHURCH EXIST? In this reality, we need a more beautiful way forward, together. HOW DO WE FIND THIS “BEAUTIFUL way”? Everything we do is driven to invite and stir us towards what we believe is the most beautiful way forward together. We find great truth within the teachings and life of Christ. ‘Now’ matters. ‘Here’ is sacred ground. We all have a tendency to live in the past or the future, carrying regrets of our past and anxieties for our future. Our belief is that it is ‘here and now’ that is most significant. This is difficult - it takes practice to live centered in the now, but we think it’s always worth the effort. It is only in reality that God dwells. This means we must do the work to be honest with who we are, where we are, and how we’re doing. There are no masks here. There’s no make believe narrative here. There is reality. All our doubt, hope, struggle, temptation, frustration, joy, and life are welcome. No matter what it looks like, authenticity is key. We don’t have all the answers but, the story is not over. There is mystery, hope, beauty, and life all around us. We believe it’s important to stay open, even if that challenges what we’ve thought in the past. There’s something true here and we’re working to find it. Be love - It’s with the first three commitments intact that we begin to move towards our final work. This is to be the embodiment of love. Love is only a giving force. This challenges us to live with enough, with full hands. We turn the tables from consumption to creation, from receiving to giving, from accumulating to serving. This love is to be lived in every arena of life and around everyone we encounter. Be loved - We all need each other. None of us are an island and we are all on the same level. This means we must allow others to love and serve us. We are willing to ask for help and know that as we give, we also will have times where we must receive. Our values shape and inform everything we do. They are the seeds planted that grow into the community you see. We have enough - We are here to give of ourselves to those around us. We are people - We only exist as a group of people. As a community we don’t own a building or property. We are ok with...doubt, questions, struggles, and not having all the answers. We are willing to challenge...traditions, narratives and beliefs for the sake of authenticity. We see extreme value in everyone - Everyone matters and is on the same level. Independent of place, history, race, sexuality, gender or belief. The name CMYK is inspired from the four color printing process used by most graphic designers and print companies. 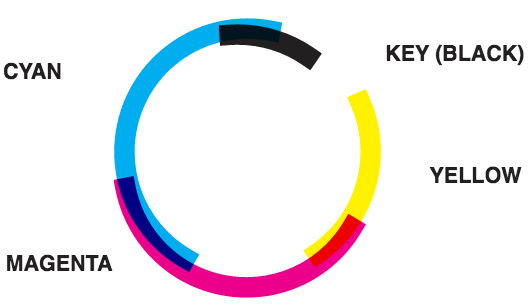 The four colors are Cyan, Magenta, Yellow, and Key (black). These can be combined to create millions of different colors for all the images and graphics we see printed. We love the idea that this presents: a community working together to create beauty. The CMYK Community is a group of people looking to do life together in a more beautiful way. We're serious about it and want to be transparent about what we're doing and why. This podcast gives you a deeper look at what we're up to and how we're doing it. If you're interested in getting plugged into the community, it will give you the tools you need to be part of the conversation.